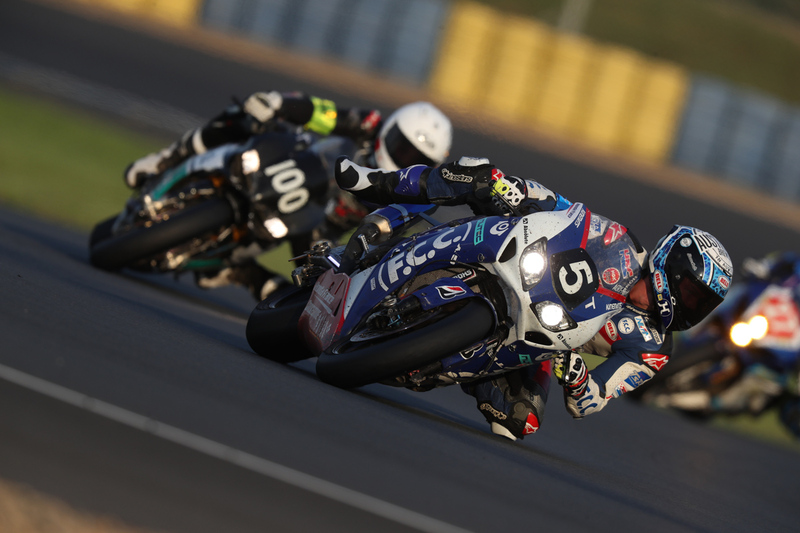 Australian Endurance World Championship (EWC) contender Josh Hook made history at the Le Mans 24 Hours stop of the series with the F.C.C. TSR Honda outfit, assisting the team to an incredible victory that delivered Honda its first win at the event in over a decade. In this latest Catching Up interview, we chat with the New South Welshman to gather his thoughts on the confidence-boosting performance. Congratulations on the win at the Le Mans 24-hour, it must be quite a rewarding result. It’s amazing. 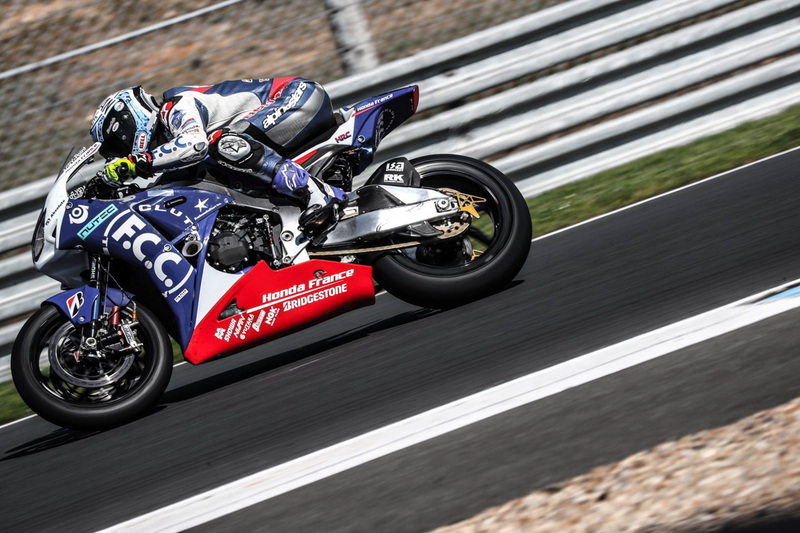 For us in world endurance – and anyone who knows anything about world endurance – the Le Mans 24 Hours is the biggest event, and if you’re going to win any event, you want it to be that one. I’m super stoked with the result we got – the team deserves it and we deserve it. We didn’t make too many mistakes, we were super consistent and the pit work was fast. The main thing for us was to just be consistent and make no mistakes – the team was flawless in that concern. My teammates were super consistent with lap-times, especially throughout the night. I’m over the moon with the result. It was quite a historic win for the team, what were the emotions like in the closing stages of the race? The last five hours of the race would have to be the longest five hours of my life. We had a two-lap lead with five hours to go, we knew we didn’t have to take any risks and we sort of just had to circulate. The guys behind us in second and third, they weren’t doing any crazy lap-times that were putting pressure on us, so that was good. We had to play it safe, make no mistakes and roll around until the end, but like I said, it was the longest five hours I’ve ever had on motorbike. 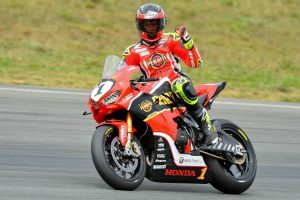 The team was so stoked to get the win – it was the 41st anniversary of the Le Mans 24-hour race and it’s been 14 years since Honda has won, plus our other partner Bridgestone has never won it. It was good to reward the manufacturer, Bridgestone and our sponsors with such a great win. We were close last year and even this year at the Bol d’Or we were leading with two hours to go and a teammate crashed out. We’ve been super competitive and we were due for a good result – it just feels good to get that one under our belt. We now have the championship lead by five points leading into all of the 8 Hours, we have Slovakia next and then Germany and Suzuka. The 8 Hours’ are more our style, we’ll have the full-factory 8 Hours bike for them, which is another massive advantage. With the 24 Hours, we sort of struggle with the bike a little bit because we have to run the engine on the safe side, so the bike is quite slow. But for the 8 Hours, we have the full-factory bike, so there’ll be no excuses. Heading into Slovakia, it’s one of my favourite tracks – I got the lap record there last year and the fastest lap of the race, so I’m feeling confident especially after the win. There was obviously a significant gap between rounds, were there any critical changes or developments that put you in a better position victory? No, not particularly. Obviously we had round one at the end of last year before the European winter break and we have a long time off before round two, we just have to wait for the weather to warm-up and stuff like that. After Le Mans, they are two weeks apart until Suzuka, so they’re quite close. The bike from last year hasn’t changed a lot, we were still on the old chassis and old engine up until this point, but we’ll be on the new bike for the 8 Hours’. We did a lot of testing in the off-season in Japan, and HRC has done a lot of development with the new chassis and engine, so everything is quite good leading into the 8 Hours’. The team holds the points lead now, what’s the game plan from here onwards? For us, we still need to focus on winning races – it’s too early to start playing it safe. 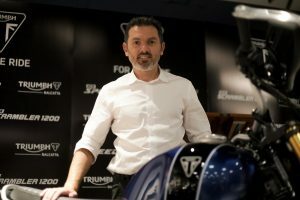 The other teams in the paddock aren’t going to give us any rest or take it easy, all the teams are really competitive this year – there are eight factory teams in the championship, and any eight teams or more could win. Our goal at this point and our vision for the next few races is to still go out there and put in 100 percent and go for the win. Just lastly, when we spoke last year you mentioned that you were trying to find either alternate championships or races to contend between rounds, have any opportunities opened up where we can expect you to be on the grid outside of the EWC? At this point, no. At the moment with the way we are in EWC, I’m quite happy with where I am. I want to focus on that mainly, this is the ultimate goal – to win the Endurance World Championship. 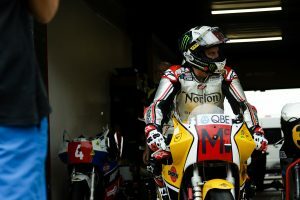 I don’t want to take any other risks elsewhere on another bike, and being contracted with Honda Japan has tied me down a little as well – I can’t go off and do little bits and pieces like I have in the past. At this stage, it’s just EWC.